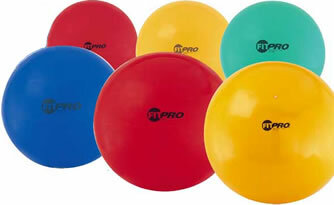 The Cando Peanut Roll is much easier to control than ball. Cando Exercise Saddle Rolls aid in developing muscles, coordination and balance. 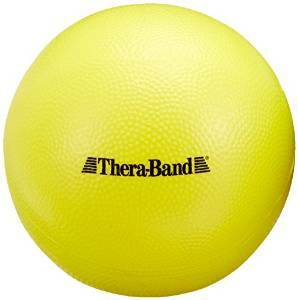 Therapists often find that rolls have some advantages over balls: they are easier to control because the rolls motion is limited to the forward and backward rotation. 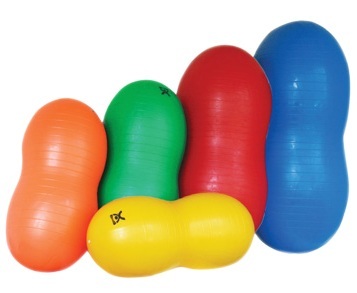 Further, the Cando peanut ball offers extra support for the patient. 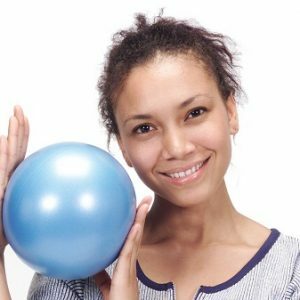 They also make a great addition to individual physical fitness regimes. This molded vinyl roll can support 600 lbs. They are color coded by size.